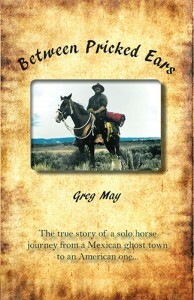 Back in 1996, a man and his horse located the ghost town of Cloverdale, New Mexico, resting on the US-Mexico border. Nestled in a valley between the Chiricahua range to the west, and the Animas range to the immediate east, Cloverdale was a natural rest stop for early settlers, the Apache’s of Cochise, and Spanish Conquistadors a few hundred years previous. Satisfied that he had located the first of many ghost towns he had read about in the past, the man turned his horse, stocked with only a canteen, Hudson’s Bay blanket, an ancient .32 Winchester rifle, and the weathered buckskins he wore and headed for home, itself the ghost town of Almota, Washington, some 2000 miles to the north. The following is his story….